March comes in like a lion and out like a lamb…but in between it can be hot, cold, wet, dry, and everything in between. 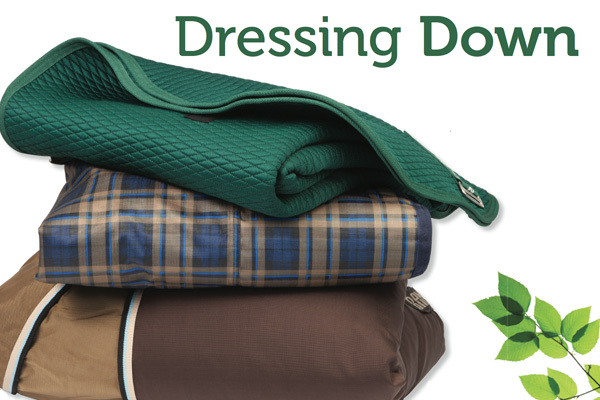 These great blanketing options will ensure your horse is ready, whatever the weather. Made from unique Thermo Manager fabric, this blanket can do triple duty! Use it alone as a stable blanket, under your horse’s turnout for added warmth on the coldest nights or as a new twist on the classic cooler for warming up and cooling down on chilly days. If your horse has been bundled up all winter, consider picking up a lightweight turnout. With no filling, your horse will still get completely waterproof protection from spring rain and mud, without overheating as the mercury starts to climb. For a fashion forward look, try new camelwatch plaid.